I’m finally back! Indeed my break was longer than expected but I guess Ramadaan just took over and I willingly allowed it too – after all, it is my most favourite time of the year, so why not? 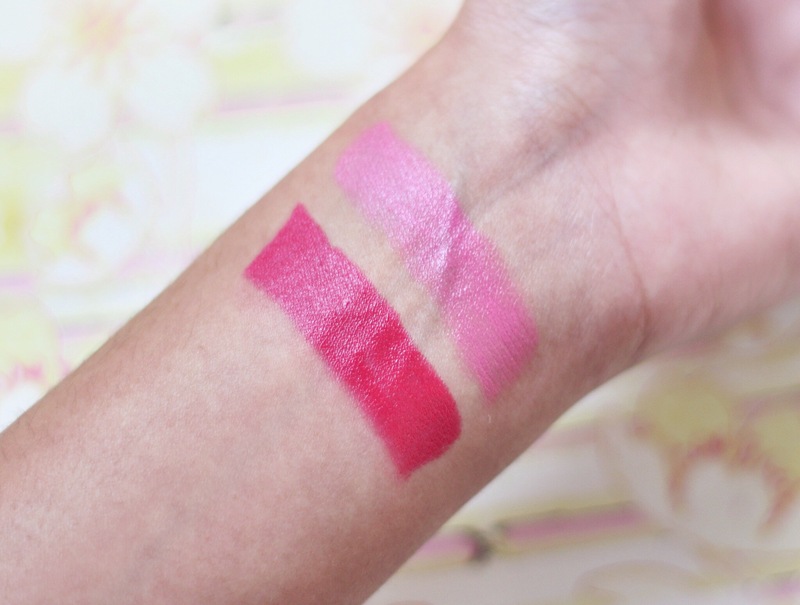 Anyway, I thought I’d resume posting with a review of the Rimmel Moisture Renew Lipsticks. 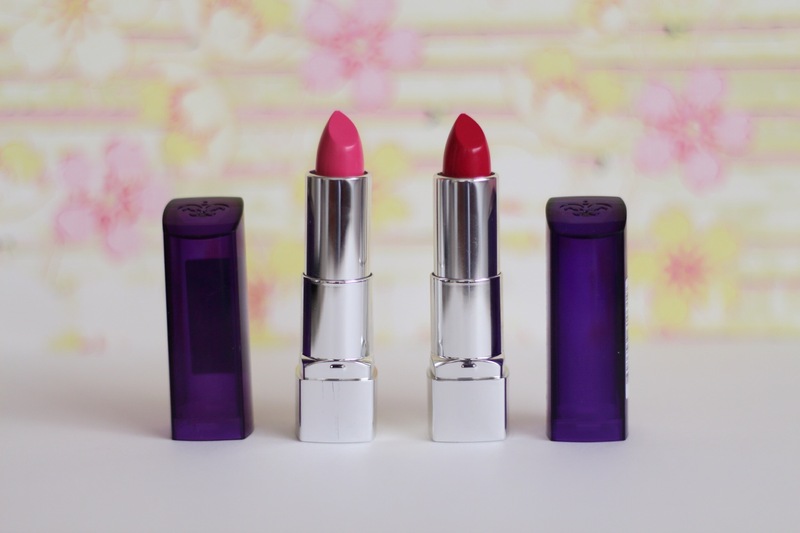 Now, bear in mind that I have never, ever tried out Rimmel products before so I had no idea what to expect – these lipsticks basically formed my entire opinion on the brand as a whole! So apparently, these lipsticks are supposed to give you radiant colour whilst moisturizing lips and protecting it from the sun (it boasts an SPF of 20). 95% of the time, lipsticks are very, very drying on the lips and unless you apply it after applying lip liner as a base, they usually dry out lips and accentuate the dryness of your lips – so I was eager to see if these Rimmel lippies really do deliver on their promises or not. I purchased the shades 130 (the pink one) and 360 (the reddish one), mostly because these are the most neutral colours, in terms of being suitable to most skin tones, and considering that I purchased it online from Zando, I couldn’t swatch them before hand to determine if the shades worked for me or not. And I definitely made the right choice. Both shades look really, really good and they suit my skin tone perfectly. I would say that the pink one is more playful and suitable for everyday use whereas the red one, will be perfect for a night out or even a business meeting. Have a look at the swatches below. And have the Rimmel Moisture Renew Lipsticks delivered on their promises? Well, both shades 130 and 360 offer an insane colour payoff, however 360 (red) is definitely more moisturizing than 130. I think due to 360 being a darker shade it doesn’t allow any dryness to be accentuated, whereas with 130 (if you don’t apply a balm first), it can tend accentuate dryness a tad bit – but only if you look really close into the mirror, will you be able to see the little lines on your lips with 130. 360 is also longer lasting than 130 and once again this is due to 360 being a darker shade. About 3 hours after application, you’d still be able to see the stain of 360 but with 130, the pigment has totally faded away . Unfortunately, both shades will have to be reapplied after eating or drinking – even though they don’t completely wipe off, they do tend to fade away. Taking all of the above into consideration along with the price tag of R99, I definitely will repurchase the Rimmel Moisture Renew Lipsticks again. Even though, it did lack in some areas, it wasn’t a disappointment. And besides, for 99bucks, it’s definitely worth it! I’m definitely going to be trying out more products from Rimmel in the future. Have you tried out any Rimmel products that are just simply amazing?